Summary: In this poignant collection, Alice Bolin examines the widespread obsession with women who are abused, killed, and disenfranchised, and whose bodies (dead or alive) are used as props to bolster men’s stories — investigating the implications of our cultural fixations and her own role as a consumer and creator. Reminiscent of the piercing insight of Rebecca Solnit and the critical skill of Hilton Als, Bolin constructs a sharp, incisive, and revelatory dialogue on the portrayal of women in media and their roles in our culture. To me, the subtitle of Alice Bolin’s Dead Girls: Essays on Surviving an American Obsession advertises itself as a cohesive essay collection emphasizing both dead girls and the men and women who obsess over them. But this kind of reflection only happens in the prologue and first section. 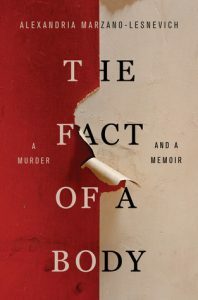 Otherwise, the book focuses mainly on Bolin’s first few years in Los Angeles – the public transportation she takes to her job, the various (and often nightmarish) roommates she meets while subletting, her first real relationship with a man she later dumps – while peppering in numerous reflections on Joan Didion and her father’s own obsession with Swedish procedurals. Which I suppose is all fine and good – except, this is not what I wanted out of an essay collected entitled Dead Girls.